From Munich I took a train to Nuremberg Main Station, where I would then switch to a smaller train line heading to the town of Roth, my first actual stop on this trip. The total land travel time was around 3 1/2 hours, but at 23 Euro I can’t really complain (versus 100+ Euro to fly from Munich to Nuremberg). In 2014, I flew to Germany to compete in Challenge Roth, and that’s pretty much all I did there. Arrive to acclimatize a few days before the ironman race, do the race, recover for a day, and then get outta there. Last year I had the opportunity to fly there again to observe the race. Since I wasn’t going to be exerting myself much I decided to go see places afterwards. Challenge Roth is held in the region known as Bavaria which itself has a long and storied history as an independent kingdom as well as part of the country of Germany. I decided to focus my touristy attentions within the region, traveling between Munich (my point of entry into Europe) and Nuremberg (the major city near the town of Roth). I would also make a stop at the UNESCO World Heritage City of Regensburg, then take a day tour into Salzburg, Austria. 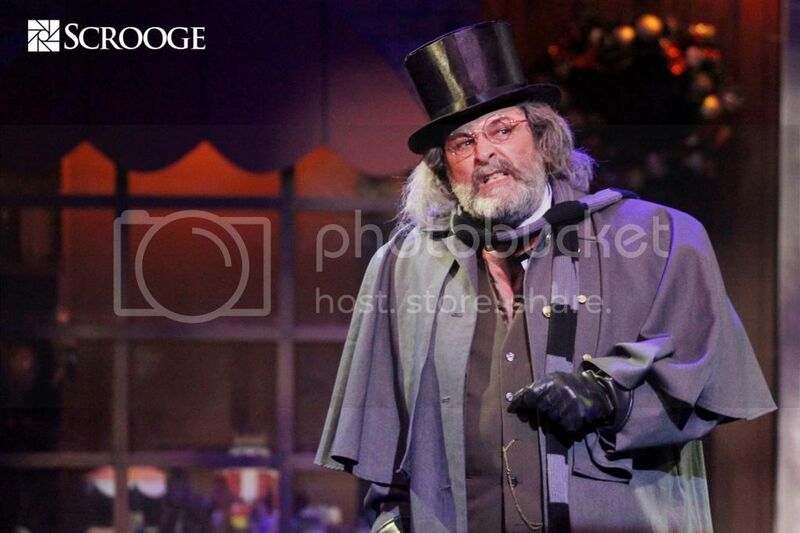 Scrooge The Musical — FINAL WEEKEND! Ahh, Christmas in the Philippines. The time of good holiday cheer, spending time with loved ones and those you haven’t seen in a while, braving the increased traffic to get to the malls to finish gift shopping — all done to the ubiquitous sounds of Jose Mari Chan’s Christmas album. You know what I mean. 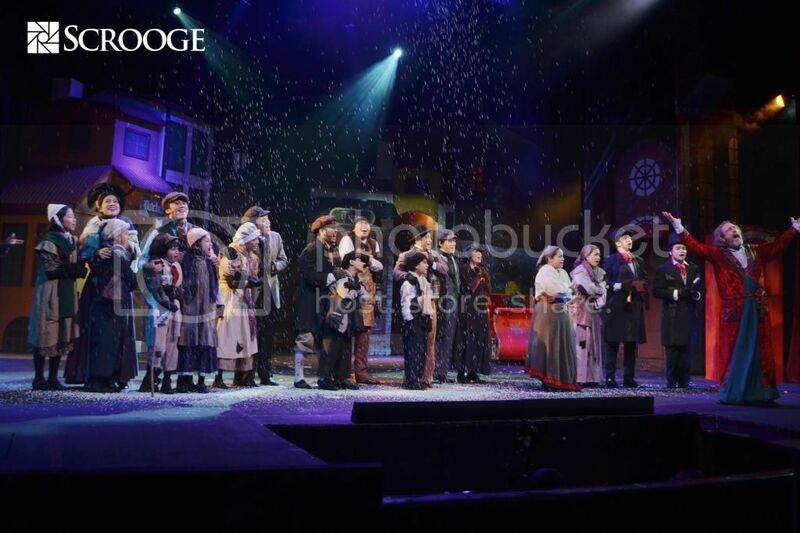 I never actually knew where Jose Mari Chan got those songs he covered in that album, so you can imagine my surprise when I sat down to the press preview of Scrooge The Musical at OnStage Greenbelt a few weeks ago, and the ensemble cast opened with the song “A Christmas Carol”. 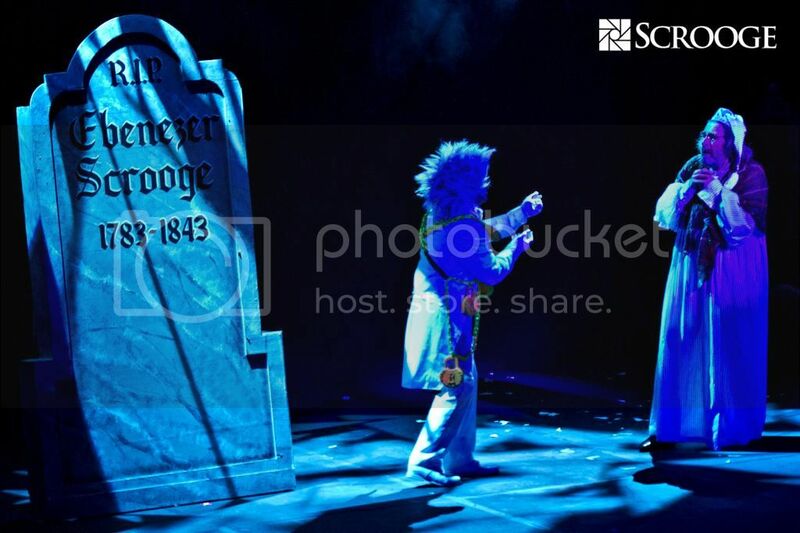 As the musical unfolded, it showed Ebenezer Scrooge’s miserly treatment of all the people around him, including himself, the spooky haunting of Scrooge by his departed business partner Marley, and the ghosts of Christmas Past, Present, and Future helping Scrooge see the error of his ways. The cast, led by Miguel Faustmann as Scrooge, was amazing and on point, and while the sound mixing still had kinks to be ironed out (Miguel’s mic didn’t seem to be catching a lot of sound), the OnStage theater was small enough for their voices to carry through. My familiarity with most of the songs helped me hear them with new ears. They are so overplayed from September through December and thus lose their meaning, but within the framework of the musical they are re-imbued with their magic and also bring back memories of wonderful Christmases past. I have always been accustomed to seeing A Christmas Carol as a non-musical film or TV special aired during Christmas time — I can still remember very vividly Bill Murray’s Scrooge film. I didn’t know that it was a musical, with book, music, and lyrics by Leslie Bricusse. Being the cultural illiterate I am, the first time I heard of Scrooge The Musical was when Repertory Philippines sent me a press release about them staging it this time of year (more specifically, November 21 to December 14). When they offered tickets to the press preview, I jumped at the chance. 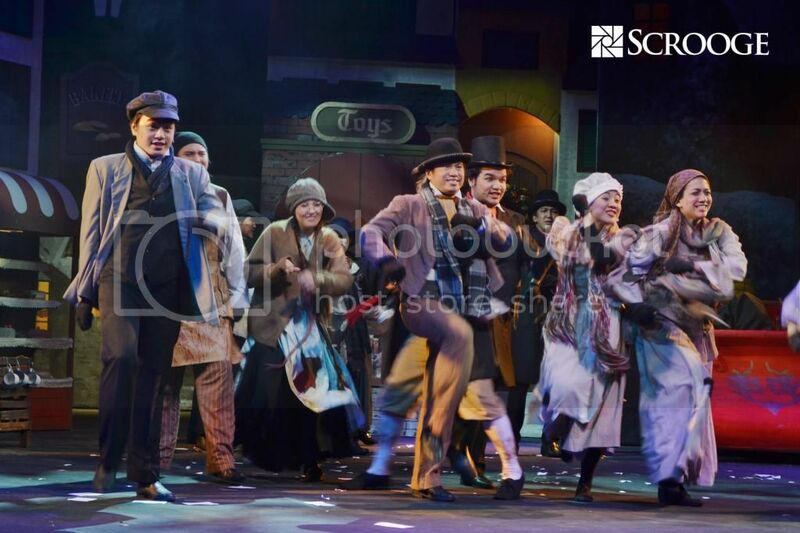 This is the fourth time Repertory Philippines has staged an adaptation of A Christmas Carol by Charles Dickens. 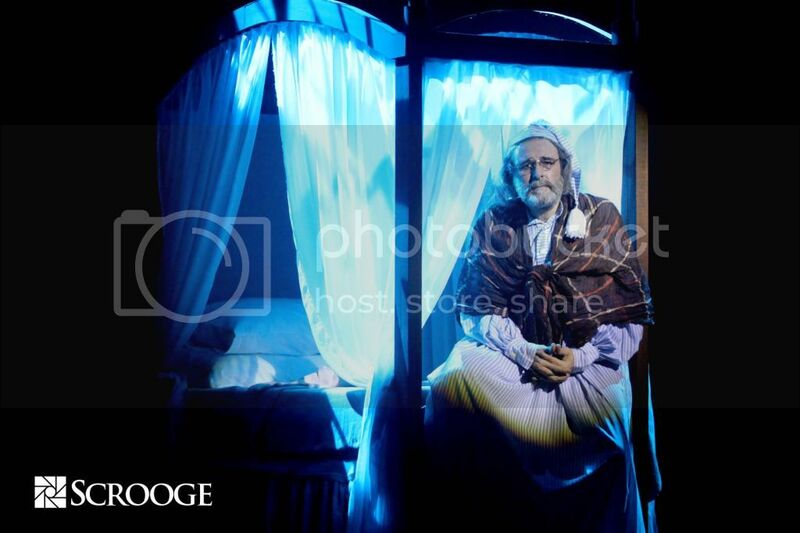 The story follows the miserly life of banker Ebenezer Scrooge and his journey towards realizing the true spirit of Christmas through three ghosts: that of his past, present, and future. 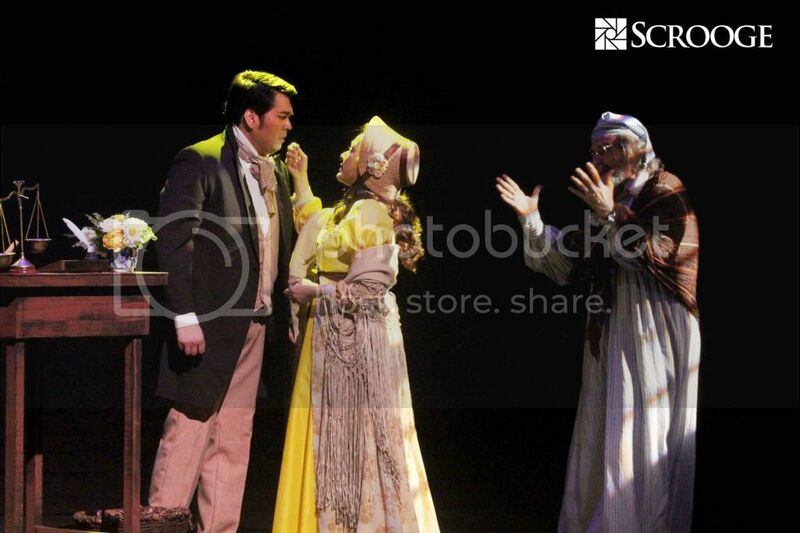 This is the last weekend for Scrooge The Musical at OnStage Greenbelt. If you haven’t seen it yet, I highly recommend you do! Today’s matinee performance is already sold out. You can purchase Scrooge tickets via Ticketworld. I haven’t been shopping in, like, forever, so last weekend I decided to make a trip down to Megamall to take a look at the new Fashion Hall wing’s offerings. I almost went home without even setting foot inside the mall because of the horrendous traffic and parking situation there, but thankfully I found a spot in the Fashion Hall’s basement parking. Because I was there to shop more for clothes for dance and yoga, I turned up some great finds from Forever 21 (one of my favorite stores to browse around in), Old Navy, and the newly-opened H&M. But once I was done with that, I trawled the other shops around. Window-shopping is lovely and I can’t wait for when these brands go on sale at some point. Because I. Am. So There. H&M only opened a month or two months ago and the hype around it was so huge that I actually avoided going in there because I didn’t want to fight for elbow space with the hundreds of other shoppers also in there. Last weekend, I couldn’t believe that even with three floors of retail space, there were still long lines for fitting rooms and cashiers. I found the women’s section a bit… grey. One of the shops I really liked being in was American Eagle Outfitters. Despite the fact that I could probably find some of their surplus items in the Surplus Shop in Megamall’s A wing, the store is quite hip. On that day, there was even a DJ (I later found out it was DJ Jujiin). Even better, he was actually playing music I knew — and I don’t listen to pop radio anymore, so that can be quite a challenge! But it was nice to browse inside AEO listening to “Rather Be” and then heading out the door singing along to “Call Your Girlfriend”. Am I your target market, AEO? I tumbled across the expansive Fashion Hall atrium to Pull & Bear, which is a really large store that also has an entrance from the main mall. The pricing I feel is a bit higher than at AEO and the strange thing is they were carrying a lot of heavy quilted jackets, thick sweaters, and the like. Unless you live in a freezer in the Philippines (or maybe work in an office with the AC turned up way high), those are impractical for our mild cool season. I shop on a budget and I probably won’t be getting basic stuff like plain tank tops from these stores. But there are some really great pieces that can make your chosen outfit pop — or at least give you a peg to hunt for at thrift stores, bazaars, and local brands. A few months ago I was heading home on a Tiger Airways ticket from Phuket to Manila. However there are no direct flights from Phuket to Manila especially on a Sunday, so I was on the next best thing: a connecting flight through Singapore with an eight-hour layover. My luggage would be checked through, so I wouldn’t need to pick it up in Singapore and re-check it on the SIN-MNL flight. I had actually planned to leave the airport during the layover, because I would arrive at 4:30pm and fly out at 12:55am. This is doable; with a Philippine passport I don’t need a transit visa and can enter and leave the airport after going through immigration and security. Additionally, Singapore’s MRT system connects directly with the airport and you could very well get all the way into the city to meet up with friends for a nice early dinner and some shopping. However, I was traveling by myself and my mom, ever protective, requested I stay inside instead. So, what do you do by yourself for eight hours in Changi Airport?